At the end of January, I mentioned that I was starting a new series called "My Favorite 31." 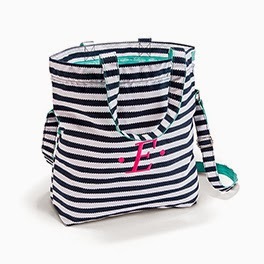 On the last day of every month that has 31 days, I would showcase one of my favorite items from the company Thirty-One. Our daughter-in-law, Christa, is a consultant and I really love these products, so I was thrilled when I thought of such a catchy title. If you are looking at the calendar, you of course realize that today is not March 31st. It is, in fact, April 1st. However...this is not a joke. Unless you consider the fact that I no longer have a working memory to be some kind of a laughing matter. So of course I was totally bummed when Christa texted me last night and said, "You didn't do a 31 post today, right?" Yes, that would be correct. Roundabout Caddy (I use this one as a scrap bucket and store scissors/seam ripper, etc., in the outside pockets--works great! The "Your Way Cube" is definitely my Favorite 31 for March. Or April. Or anytime. The size is 12.5 inches square. At first that didn't seem that large. But believe me. It holds a lot. One side has a vinyl window so you can keep track of what is inside, but I had a lot of fun personalizing them for my sewing room. This one holds my knitting projects. And this is for my cross stitch/embroidery projects. 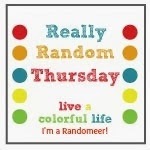 (This was not an original idea--I got it from Kelli, who has my favorite blog name ever: "Seriously. I think it needs stitches." This holds a couple of my works in progress. I store them all underneath the theater seats in my sewing room. See that far one, on the left? Yes, the one with no "name." I'm going to put that somewhere else in the house because I want to order one that says "Keep Calm. Sew on." 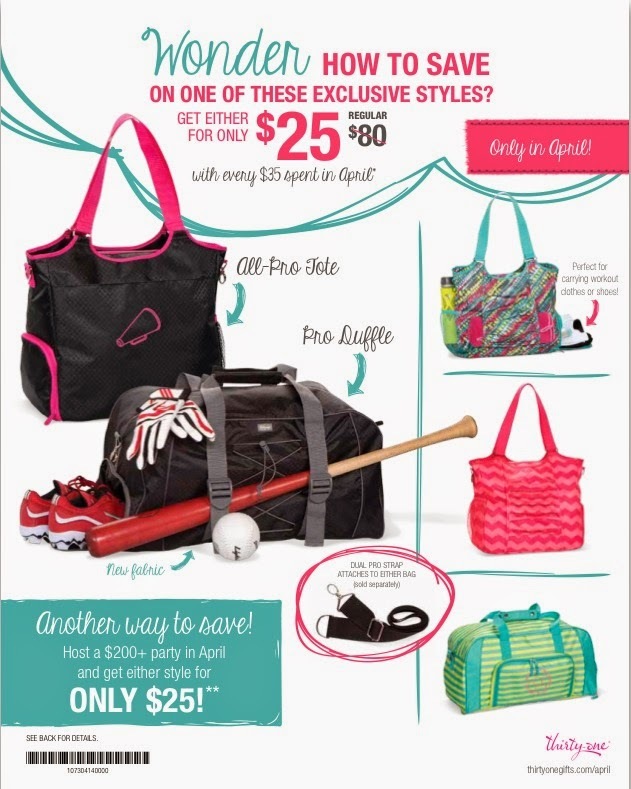 Each month Thirty-One has new specials. And they are always really good deals. You can find them here. Remember: you don't have to attend a party. You can actually order from Christa and have it direct-shipped to you. See you on May 31st with the next installment. Unless I forget again. In which case, I will see you June 1st! I really like 31, they have great toddler-proof products! 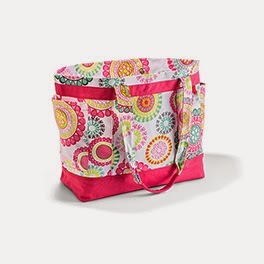 My daughter's diaper bag is 31 and long lasting, I also like to use their small totes for organizing! Thanks for sharing!! What a great way to keep organized! They all look so tidy and practical. 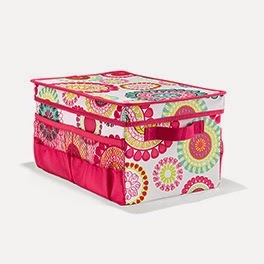 I have purchased several Your Way Cubes to organize my sewing/craft room with. They are perfect. I have also purchased several what I call project bags. I don't know the 31 name for them but they have mesh pockets on the outside and are perfect for crochet projects. I love the roundabout caddy! Don't stress about not getting the date correct- I'm always a day ahead anyway! LOL! Love the catchy titles! If the left tote is empty, perhaps one for easy-to-do-projects for your grandkids to pick up and do when visiting. Lacing cards, plastic canvas, early cross-stitch/embroidery, small fabric projects, felty things, their own yarn/hooks/needles, etc. It could be called something with "Passin' It On", "Lil' Hands", "Creativity in Progress". Love the organization! 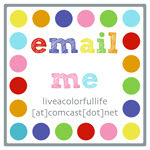 I only learned about this company and their great products last fall and am working to fit a party into my schedule. 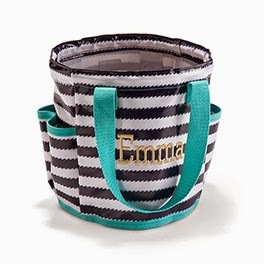 I did get totes for myself and all my sisters for Christmas gifts and they just love them. I can't wait to get more.